24/7 Speedy Locksmith offers fast reliable car key duplication in Chicago , call 312-285-3790 now to have a car key locksmith come to your location now! Need Car Keys Made Chicago? If you have lost your keys, or noticed excess wear on your current keys, it’s time for a new car key. Don’t wait until the key stops working altogether and puts you in a jam! 24/7 Speedy Locksmith has professional automotive emergency locksmiths that will come directly to your location and make a new car key for you! Don’t get held up from a broken car key. Our Chicago weather is unpredictable, and the last thing you need is to be stuck in our harsh winters. Call us now to find out what needs to be done according to the make and model of your car to see how quickly we can resolve your car key issue fast! Our car key makers can make car keys for all makes and models of cars. Even if the car key requires a transponder to turn on the ignition of your car. 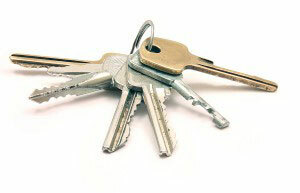 Transponder keys and ignition keys of all types are fast and easy for our locksmiths to duplicate for you on site! Call 24/7 Speedy Locksmith at 312-285-3790 if you need cars keys made in Chicago!